tenDisplayHsDevices is a utility program that runs on either a HomeSeer server, or another computer on a LAN connected to your HomeSeer server. It displays HomeSeer Device properties in realtime, aiding script and plugin development. This program is an enhancement to the code created by Richard Helmke. 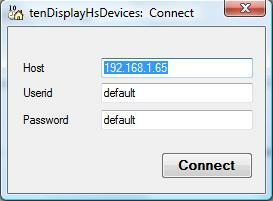 When tenDisplayHsDevices is run, it displays a connection dialog. Enter either the IP address of your HomeSeer server or a network name for the server. If you are running the utility on your HomeSeer server, you can enter localhost. 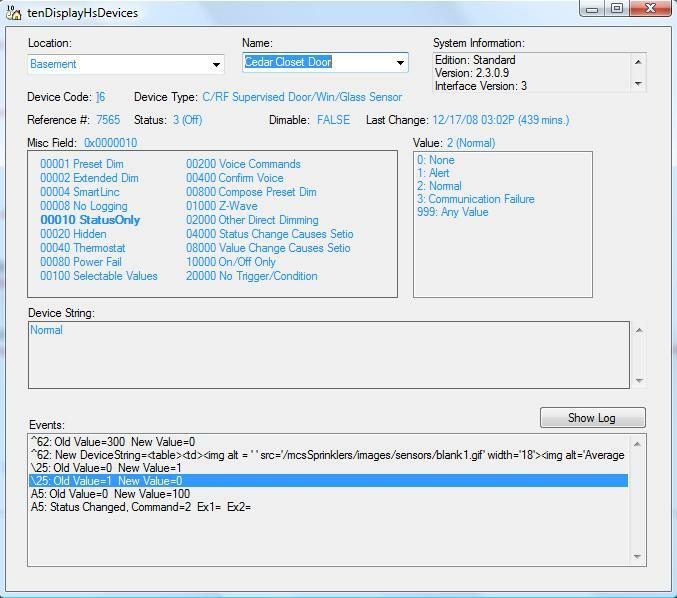 Bug fix: Exception if a device's Value Table is misformed.